It took us two days to reach Hyderabad from Delhi. 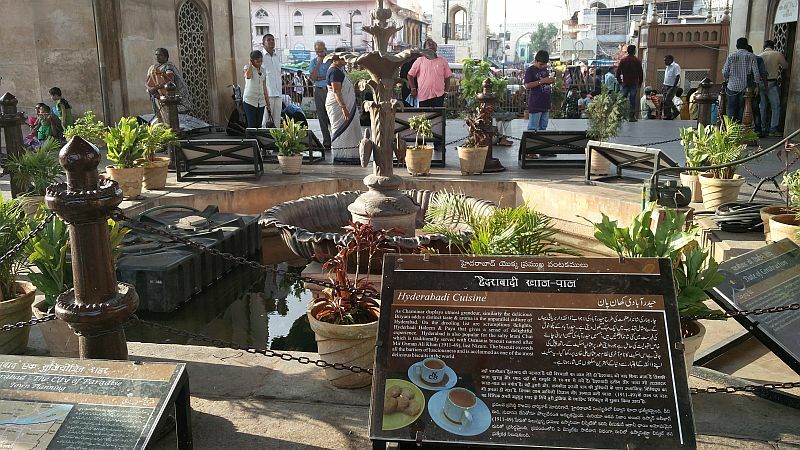 The two day continous drive brings us the the beautiful city of Hyderabad, and that too in the month of Ramzan (time for feasting and shopping). The month that spreads the message of prayers, fasting, charity, love and humanity. 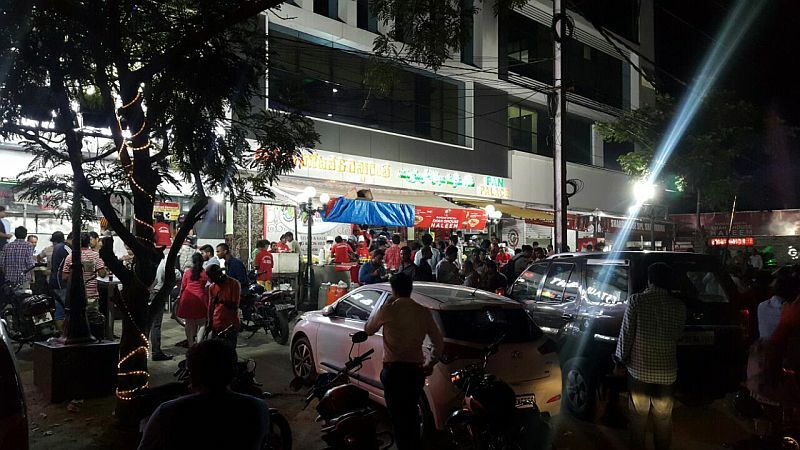 Our stay in Hyderabad was in Danish Service Apartments in Madhapur, near Inorbit mall. 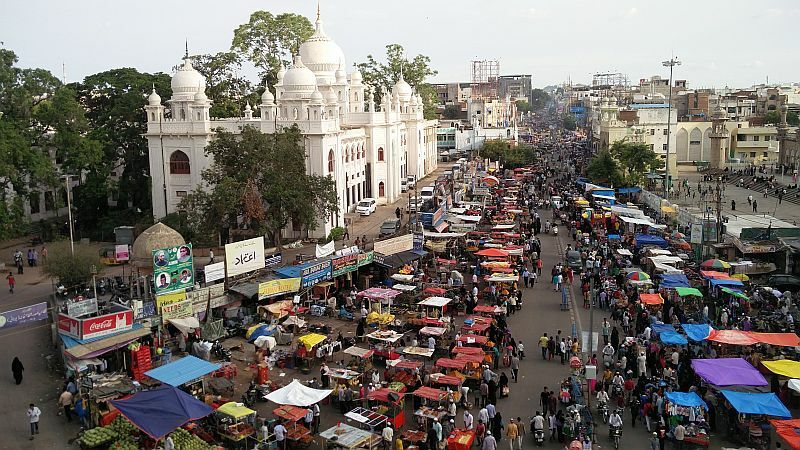 This part of Hyderabad is well planned, being the posh suburban neighbourhood in West Hyderabad. Danish was a good place, a 3 bedded apartment with all basic facilities. Being a residential apartment locating it out was a bit difficult. Breakfast was included, lunch and dinner is not a issue as there are lots of restaurants around. Car parking is available. The staff knows Hindi and English but service quality and time can be improved. Being the roza month, the city and shops came to life after dusk. 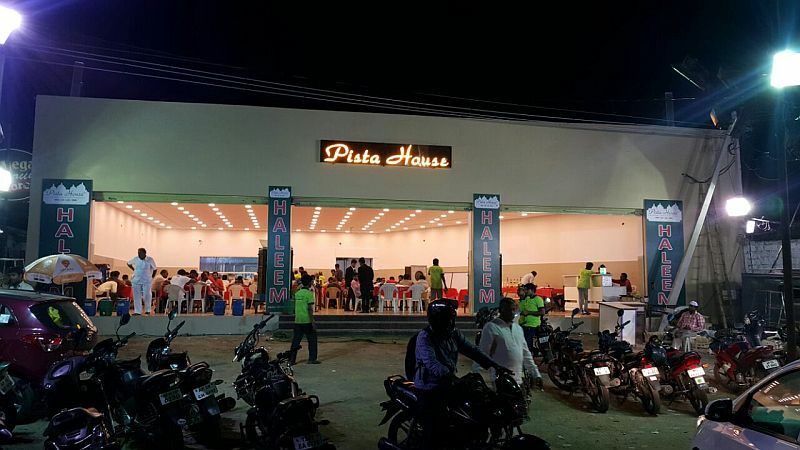 For dinner we drive around the city to see the small lighted and colourful stalls serving haleem, sweetmeats, juices and lassi around. Boys are hired to stop cars and invite them to the shops. The whole city like awakened to food at night. 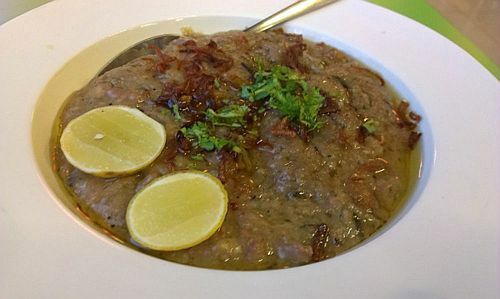 We set out on a haleem tasting tour. 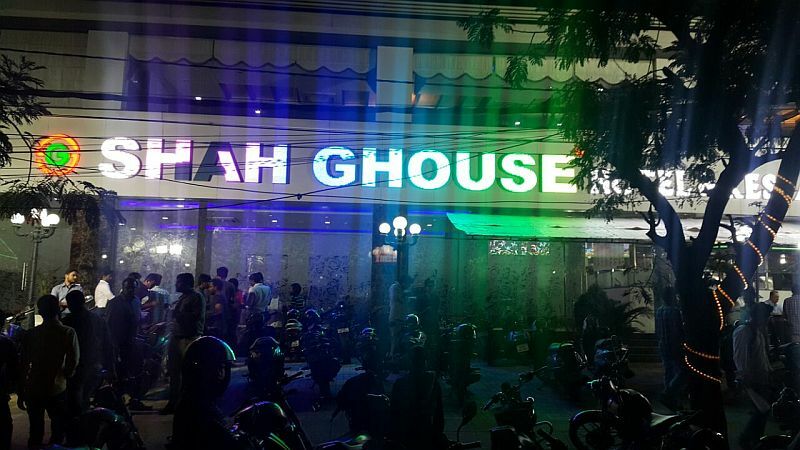 First at Pakwan Grand, then at Shah Grouse and then in Pista house. 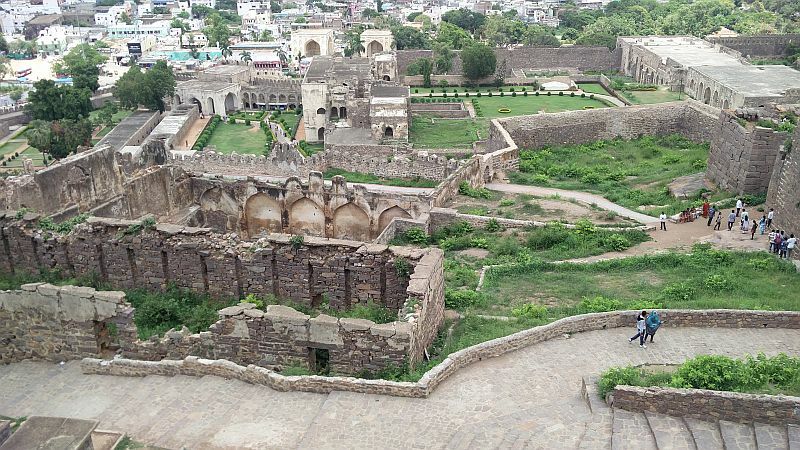 By then it was too full for something more....so retired back to visit the Golkonda fort and Charminar the next day. 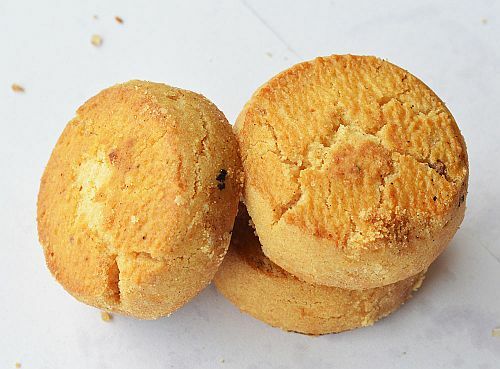 Must try Osmania biscuits and tea. 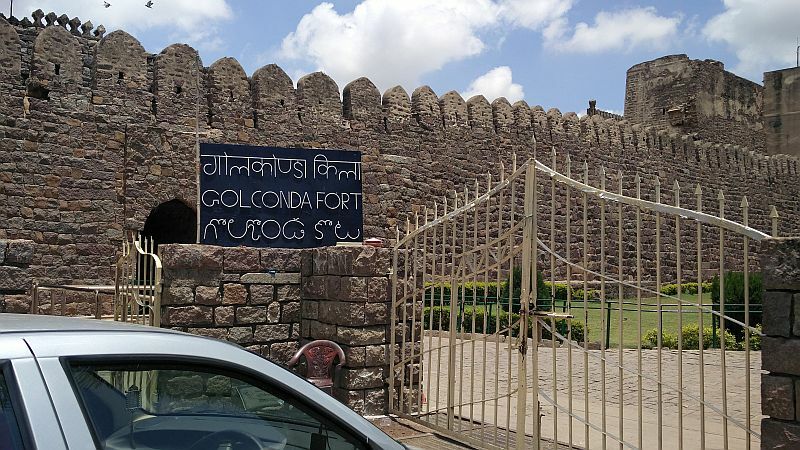 Next day we hire a ola cab to visit Golkonda fort. 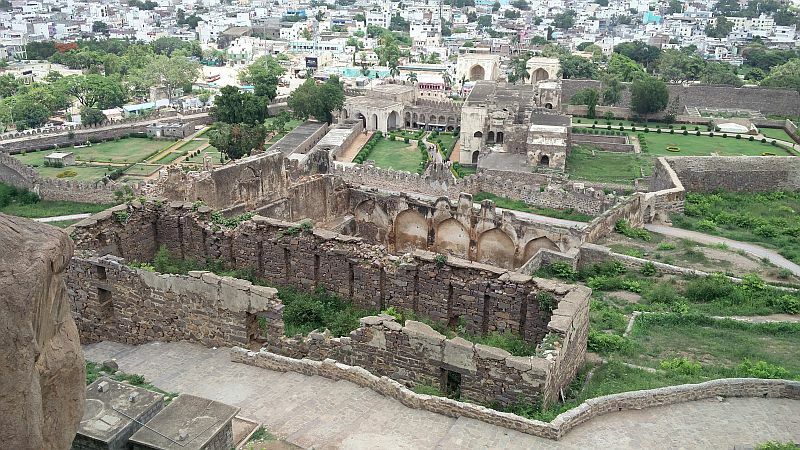 The fort is spread on a vast expanse of land. 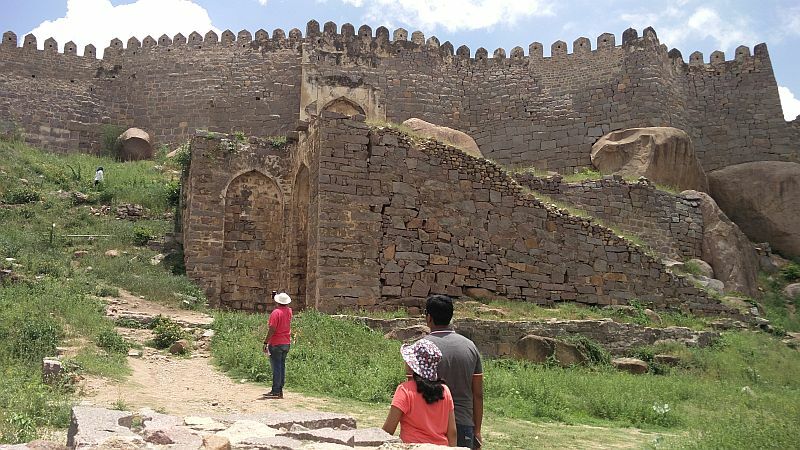 The history of the fort ranges from the times of Kakatiyas, and later till the reign of Aurangzeb. 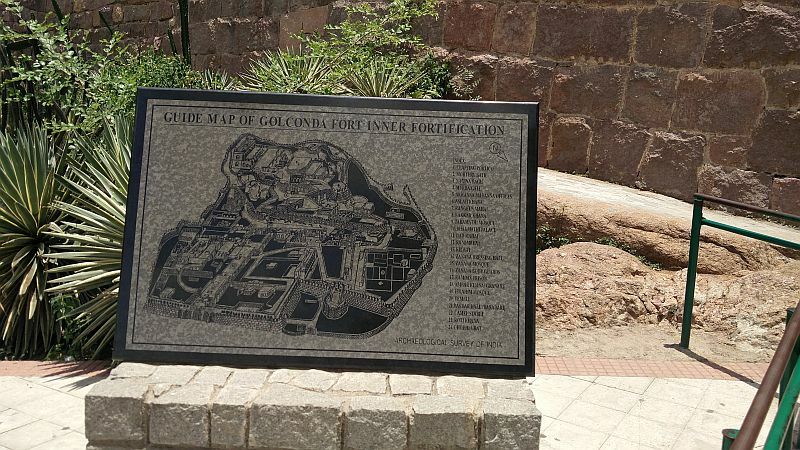 The main focus of the fort was as a trade center of diamonds mined for Kollur which is nearby. It is believed that the Kohinoor was also stored in a vault here once. Spread over 11 kms walking around was not easy in the hot sun, so we prefferd to walk to the top most point to have a view around. Again we book a ola for lunch with a few friends at Hussain Sagar lake. 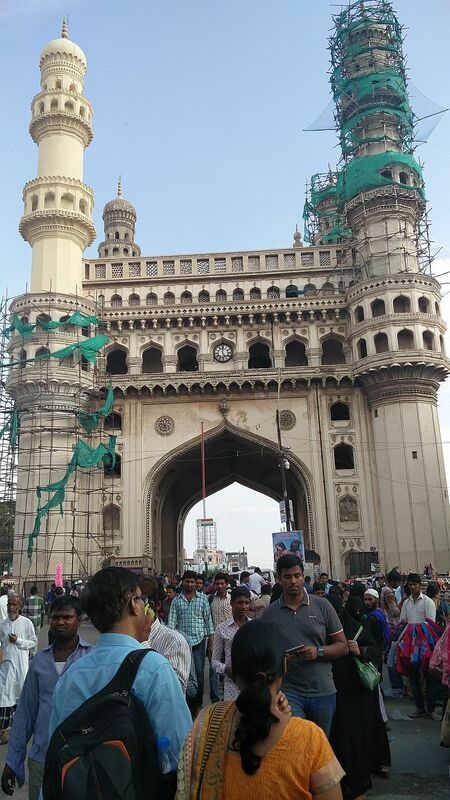 Our next destination was Charminar, since the Ramzan month was on, everyone advised us to return before eve, or else the traffic will make moving out of the place difficult. The narrow pathways leading to the fort are confusing, and lined with small shops selling bangles, laces, imitation jewellery, etc. 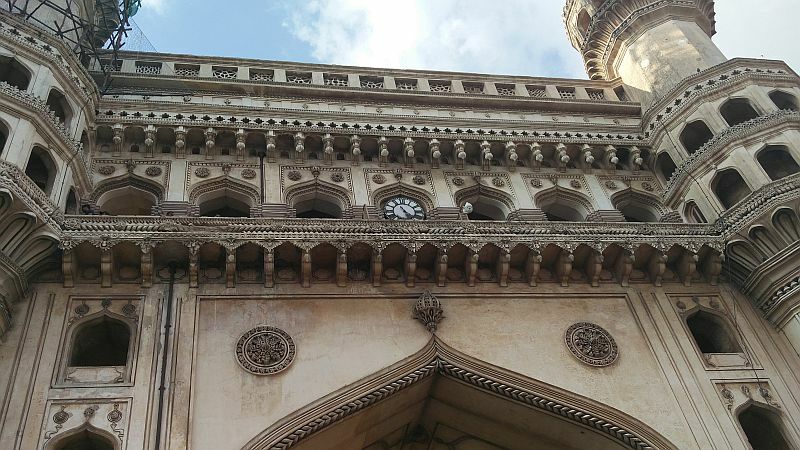 Charminar was built by Sultan Muhammad Quli Qutb Shah in 1591. The four minarets in the four directions are four stories each with a carved ring. 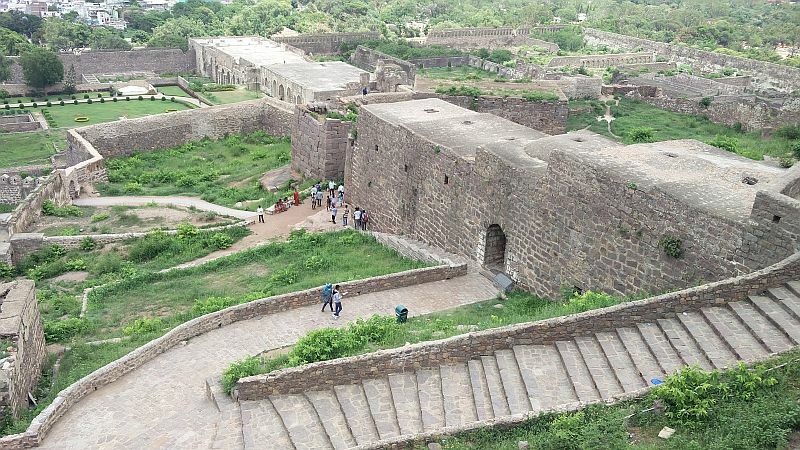 Each has 149 winding steps inside to reach the top for a beautiful view of the city. 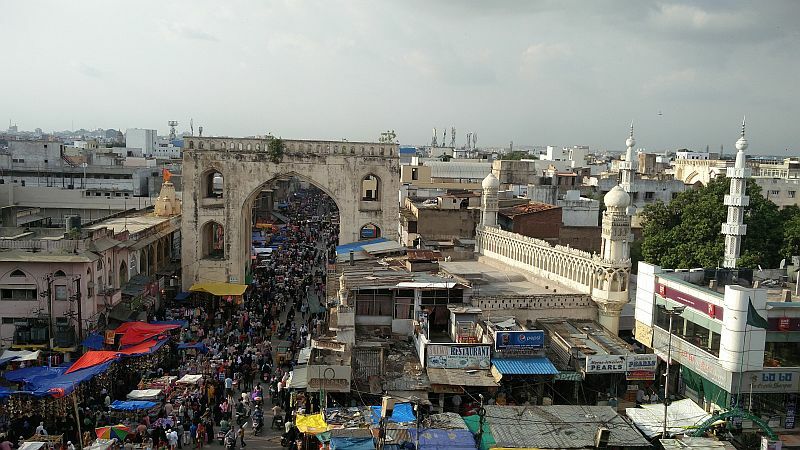 On one end of the Charminar's roof is a mosque oldest in Hyderabad. On top of the building are 45 prayer spaces. The security guards deployed are friendly and they give you more info and do click pics for you. The clock on the four cardinal directions was added in 1889. The monument overlooks another grand mosque called the Makkah Masjid. We can see the Falaknuma palace from here too. And as for shopping there are shops and shops around....Laad Baazar is known for its jewellry, especially exquisite bangles, and the Pather Gatti which is famous for its pearls. I was able to see shops selling clothes, laces of various kinds, sewai and more. Again an ola and we were back in our room. The next day we move out. Missed out Ramoji and many other places.....but trips never end!